Thought I'd post some pics of the pan rebuild, last coat of paint went on this weekend. 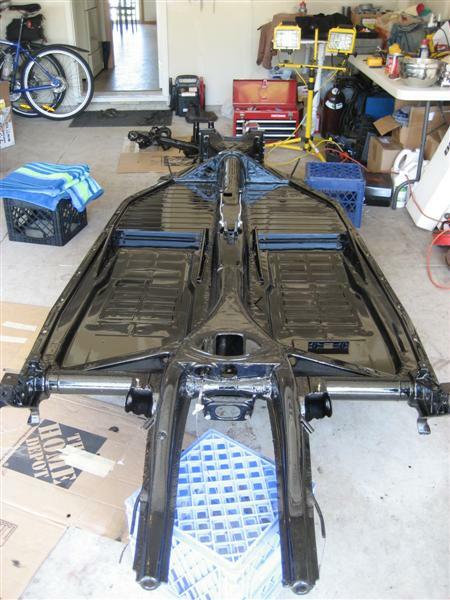 New floorpans were welded on, por-15 applied, seam sealer, etc. Had a broken bolt in one of the shock towers at the back, and my extractor tool broke inside it while i was trying to pull it out. Had to drill around it (cant' drill through the hardened steel of the extractor tool), and pull the whole bit out. The hole left was pretty big, but just the right size for a flared 10mm nut, which I pressed in there, then welded around into the cast iron surrounds. Came out pretty well, considering. question - anyone know who locally can press new ball-joints in for me? 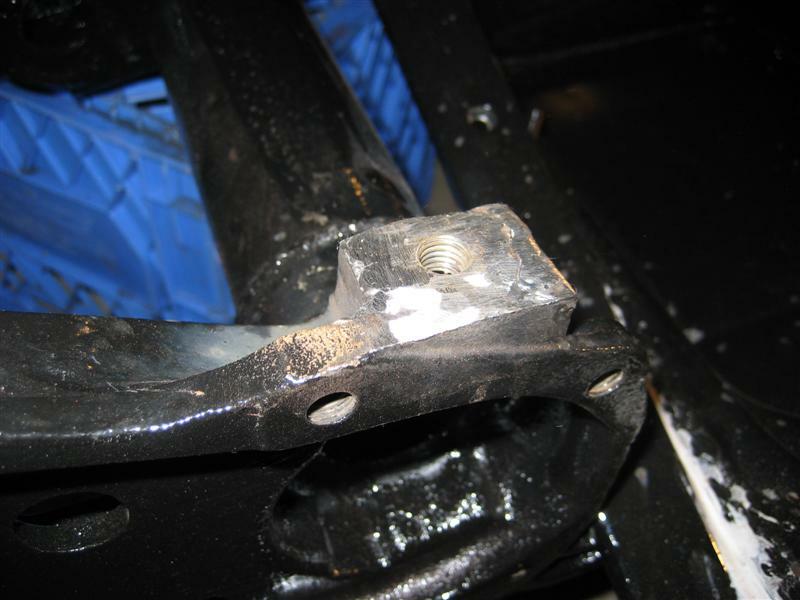 the 10mm nut welded into the rear shock tower, and cleaned up. new pans welded in, stripped of paint, and getting por-15 metal ready on them. chassis with the old pans cut out, and new ones trial fitted. Very nice, I may want to see that in person. the Por15 looks way better than I would have thought, I may go that route rather than powder coating. If you're passing through CDA and want to have a look, let me know, I'm close to downtown there. Cool, been searching Samba too, but glad you did it first so I can see for myself. Thanks for being the lab rat! For sound, i'm going to go the dynamat route, not cheap, but I know that type of material works really well. I just did the same thing, except that it was in my 1981 GMC Jimmy Fullsize. The POR 15 goes on really nice! I just used a paint brush...that stuff didn't even leave brush marks! After I finished with that, I topcoated with Herculiner (like Rhino Lining, but you roll it on). That would definately be a better way to go than using undercoating. BTW, I press ball joints. Great, I'll be stopping by next week sometime, most likely. Now, I do have CB performance dropped spindles - do I need to get the 'lowered' ball joints, or would standard ones work? I may end up dropping it a little further with the adjusters, depending on the ride quality and look, but I don't expect it to be anything more than 0.5-1" more, at max. Stock ball joints with drop spindles. 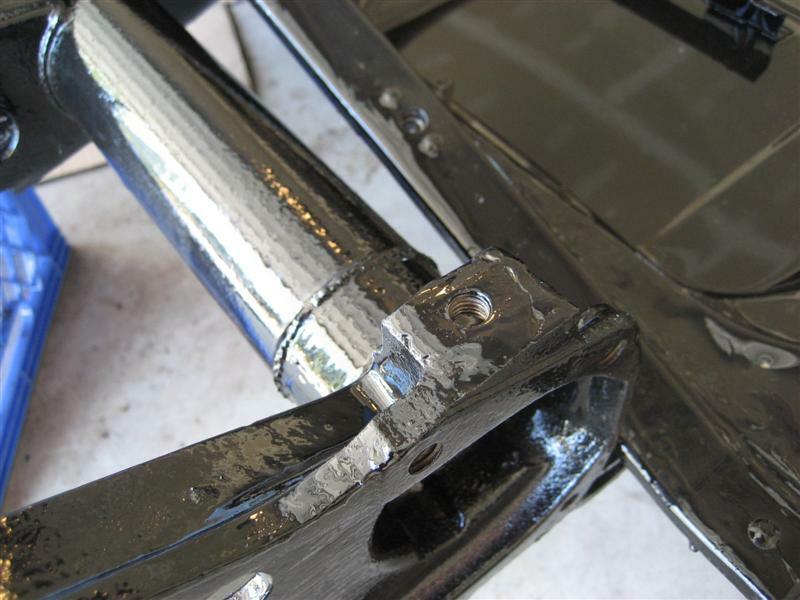 The spindle moves on the nuckle to lower the car, the rest of the geometry stays stock. The little you plan on going with the beam adjustment doesn't warrant the extra travel ball joints. Was just going to mention that. I may spray the POR as well, get a couple cheap throw away guns and go for it. Now who wants to show up for the body lift? I used some of those sponge disposable brushes, $4 a set at Home Depot. It went on very easy, and dries extremely smooth. Plus you can force it into corners and seams a lot better with the brush. I would say spraying it is not needed, personally. We've used spayers for it, application is smooth, and fast, cleanup is easy when it's just a spray gun, and some plastic sheeting. You do have to thin it 50/50 though. The dynamat stuff is great. 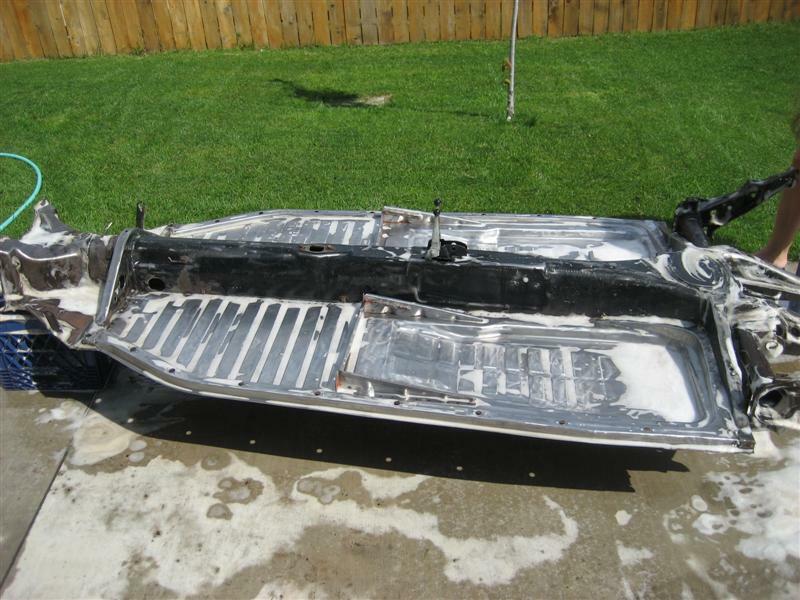 I used it on the engine lid of my squareback and because of the weight of the dynamat I painted all around the engine lid with undercoating and then used that felt with space blanket material on top of everything. Worked like a charm. 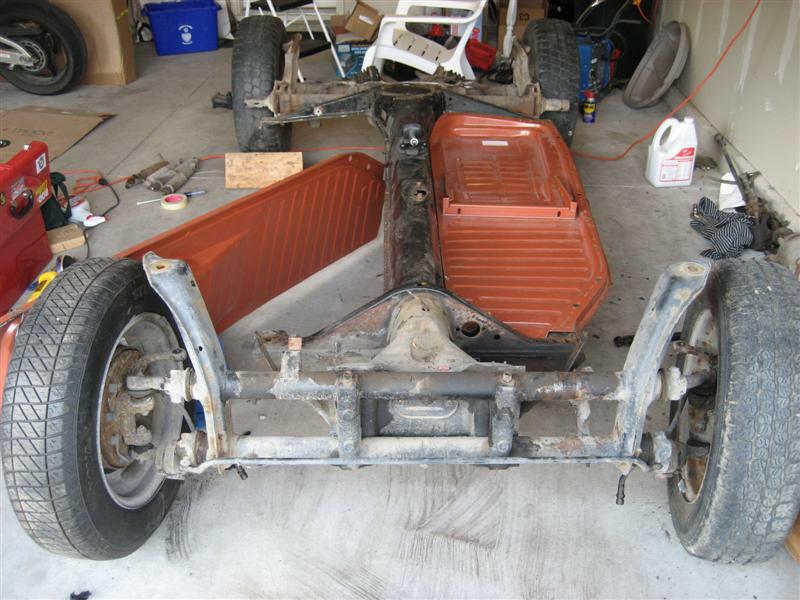 I am going to cut out squares of the dynamat for behind the interior panels. If you get a chance check out sounds on wheels they have a display of the stuff with a small bell with a small piece of dynamat stuck to it and the bell is really muted. Beside being heavy the stuff is expensive also.